Walcott came onboard Arsenal with a promise to be the best. But for years now, this Arsenal forward has not made good on his promise, in the process, frustrating his manager, Arsene Wenger and Arsenal fans. He would blow very hot for a while and then go cold throughout a season. On the other hand, Walcott had placed the blame of his misfortune on his French boss. His life in Arsenal was more like a cycle; return from an injury, start on a promising note, go cold, get injured or dropped off and the cycle begins all afresh. In February of this year, he finally had a moment of realization which has not only seen him improve tremendously, but has also been able to turn his career around and strategically place himself in contention to start in England’s match against Malta, which would be Gareth Southgate’s first outing since becoming interim manager of the England senior men’s national side. His improvement has been attributed to a number of changes on the part of the 27 year old forward. Stories have it that Walcott has decidedly put in extra work on the training ground, on his off days, he can always be found at Arsenal’s facilities and he has also arranged for extra shifts with a personal trainer. Also, the England International reportedly made a change in his diet, now taking in more protein, no snacks and less coffee. In addition to this, he has begun booking weekly meetings with Arsenal’s psychologist, David Priestly, in an attempt to also focus on the mental side of his game as well. All he has to do now is to maintain his form and keep things the way they currently are or even better. 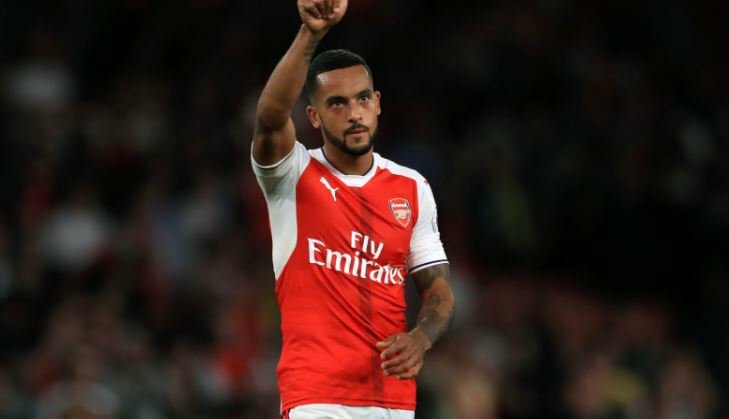 And with Arsenal’s current outstanding performances, especially after beating Chelsea 3-0, the best is yet to come for Walcott and Arsenal. Copyright © 2019, Theo Walcott.